Our Acrylic Award with Jewel Design are a beautiful corporate award that won't break your department's budget! 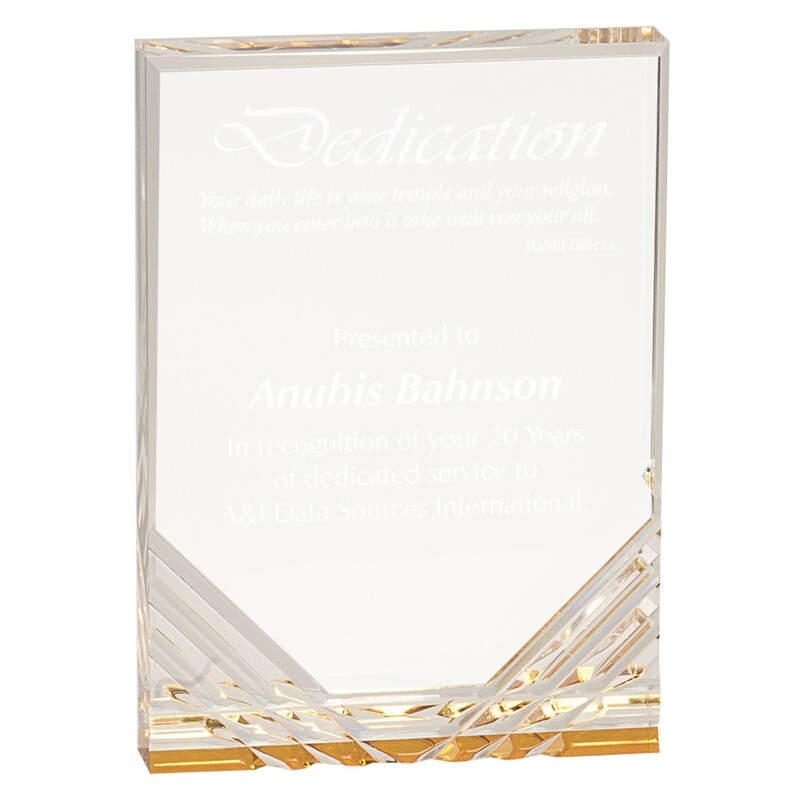 Made of one inch thick clear acrylic, the rectangular shaped acrylic award features your personalized engraving and logo at the top, with a beveled jeweled design below. The bottom of the acrylic trophy features either blue or gold, which radiated throughout the award. 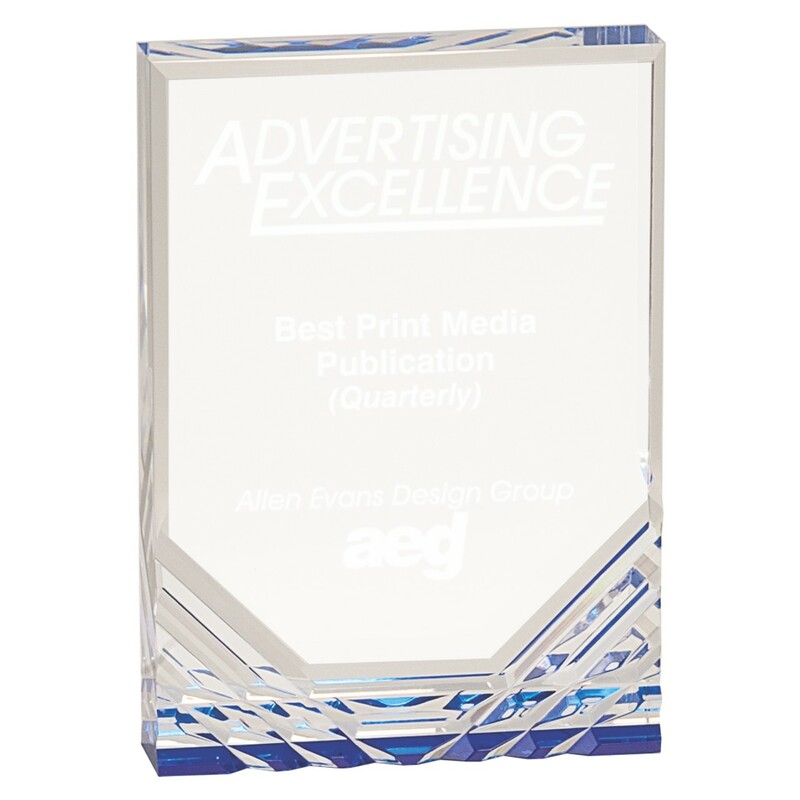 This acrylic award is free-stranding, perfect to display on a desk or lobby shelf! Free shipping on orders over $50 and quantity discounts make these economy awards great for your entire office!